Size - 11/0 Package - 10g (gross weight 10,5g) Specification - japanese seed beads, color - Gold Lined Crystal (234) Country of origin – Japan.. 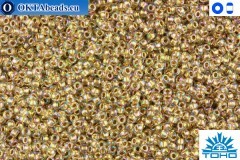 Size - 3mm Package - 10g (gross weight 10,5g) Specification - japanese seed beads Cube, color - Gold Lined Crystal (234) Country of origin – Japan.. Size - 11/0 Package - 10g (gross weight 10,5g) Specification - japanese seed beads, color - Inside-Color Rainbow Crystal/Gold Lined (268) Country of origin – Japan.. 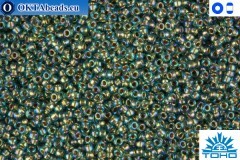 Size - 11/0 Package - 10g (gross weight 10,5g) Specification - japanese seed beads, color - Gold-Lined Rainbow Aqua (995) Country of origin – Japan.. Size - 11/0 Package - 10g (gross weight 10,5g) Specification - japanese seed beads, color - Gold-Lined Rainbow Peridot (996) Country of origin – Japan.. Size - 11/0 Package - 10g (gross weight 10,5g) Specification - japanese seed beads, color - Gold-Lined Rainbow Lt Sapphire (997) Country of origin – Japan.. Size - 15/0 Package - 5g (gross weight 5,5g) Specification - japanese seed beads, color - Gold-Lined Rainbow Crystal (994) Country of origin – Japan.. 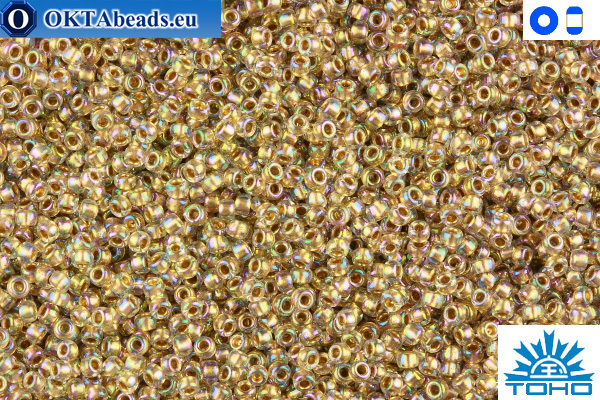 Size - 11/0 Package - 5g (gross weight 5,5g) Specification - japanese seed beads Demi Round, color - Gold-Lined Rainbow Crystal (994) Country of origin – Japan..